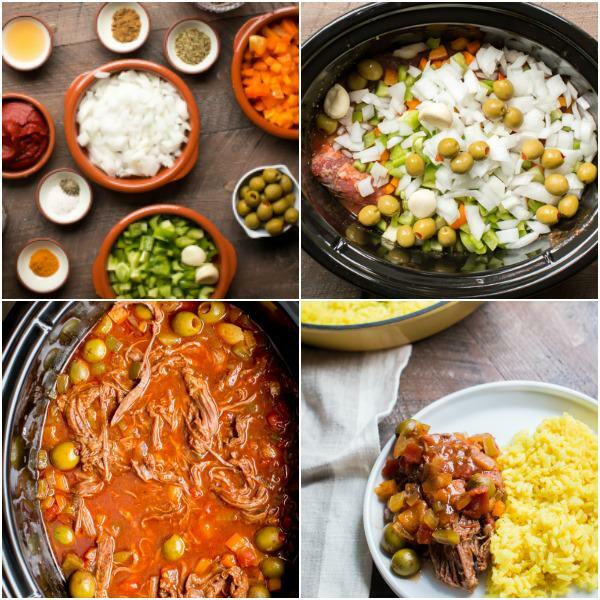 Wanting to try something new in your Slow Cooker? 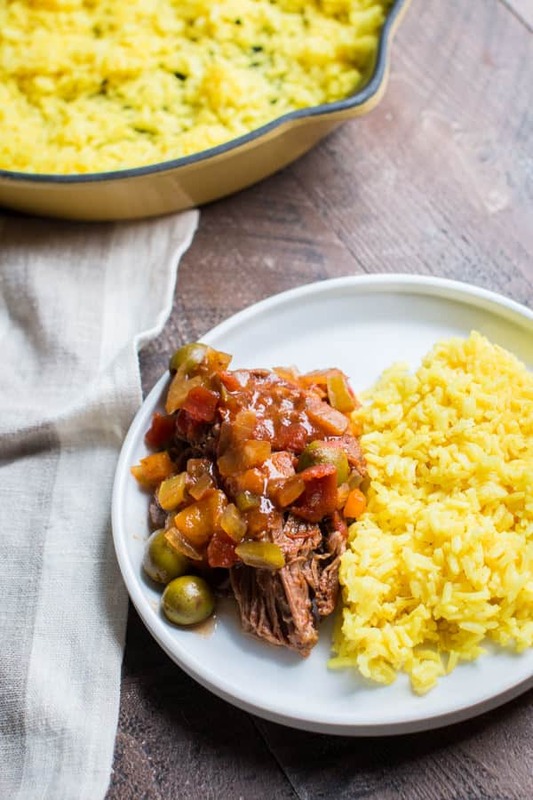 Look no further, this Slow Cooker Ropa Vieja is a unique but delicious meal to try! 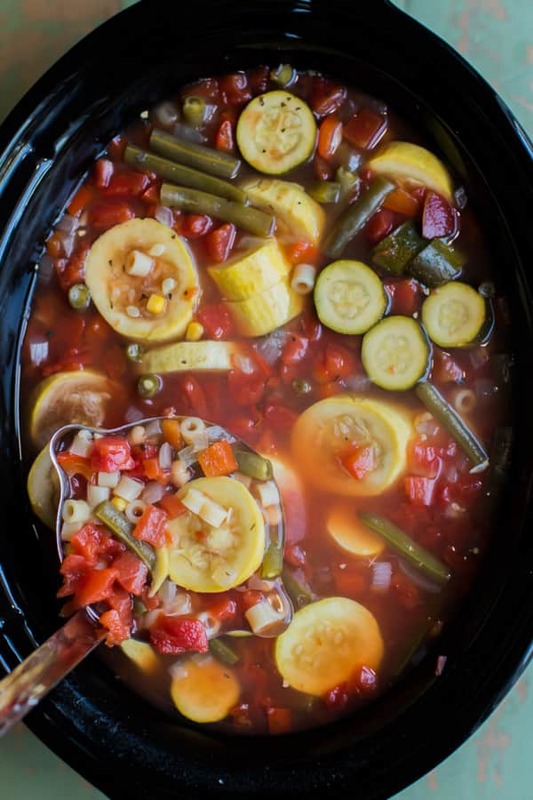 The moment I saw this meal I knew I must try it in the slow cooker. Shredded beef recipes in the slow cooker is where I shine, LOL. 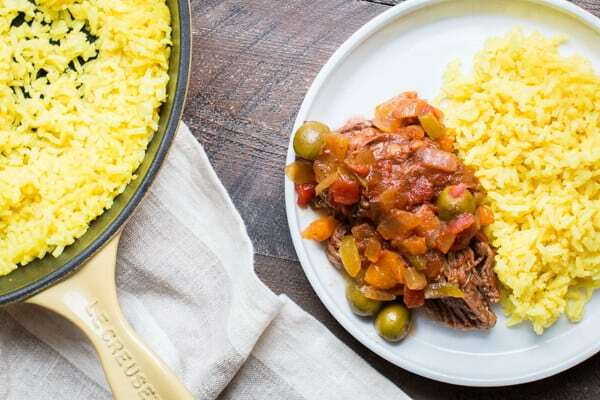 If you never heard of Ropa Vieja, it’s a national Cuban dish that means old clothes, I’m guessing because the meat looks like really old shredded clothes? Not a great name for a recipe, I know! Let’s move past that strange name and see what delicious ingredients create this beautiful dish. This is not a spicy dish, but still full of great flavors. The sauce has diced tomatoes, tomato paste, beef broth, apple cider vinegar, turmeric, cumin, oregano, garlic, bell pepper, onion and green olives. I wasn’t sure if the green olives would overpower this dish, they did not at all. The olives added a bit more vinegar flavor which really lends to overall flavor of the sauce. This recipe needs 9 hours of cooking time. I checked at 8 and the meat wasn’t quite ready. This is an awesome recipe if you work all day! I was on the hunt for yellow rice to serve with this, since I was in no mood to make it from scratch. Let me tell you that this rice below is amazing. 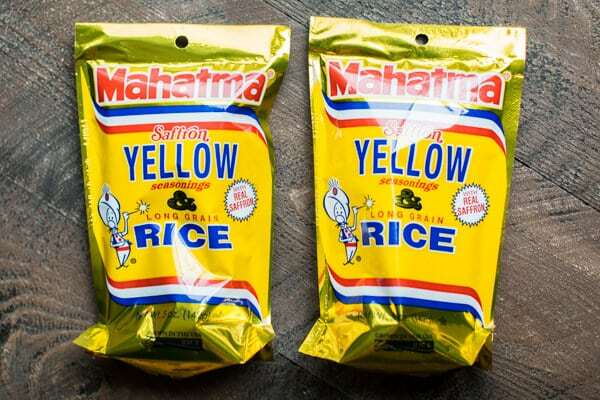 Tastes like it’s flavored with chicken but the flavor is from saffron and turmeric. I highly recommend trying this, and get 2 bags because they are tiny. The only thing I thought that would make this meal better is a green salad. You know how a salad makes certain comfort food meals better? That’s what this meal needed to give a bit of crispy texture to the plate, not a time for steamed veggies. Below is the video on how to make this meal, it’s super easy, no browning the meat or extra steps in this recipe. You can follow me on YouTube, here. 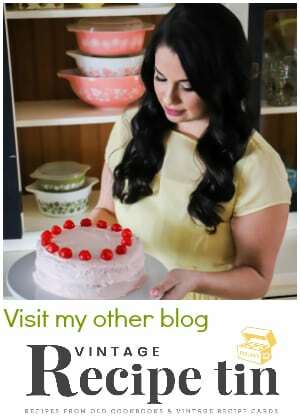 I hope you have a great week, I’ll be back soon with more recipes. 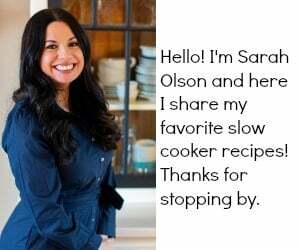 Be sure to sign up for my newsletter to be the first to see my new recipes. Serve with yellow rice and enjoy! 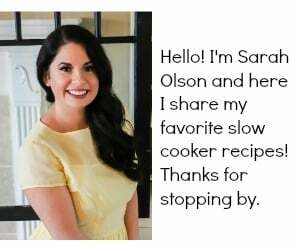 I used my 6-quart Crock-Pot® for this recipe, though this will fit in any slow cooker 4-quarts or larger. Do you think it would have a huge effect on the outcome if I omit the olives? We truly dislike them. Hate might be more appropriate. 🙂 but the rest of the ingredients sound awesome. I think it would be fine. I would add a splash more of apple cider vinegar if I were to leave them out. I hope you try it! thanks for your quick response. I definitely plan to give it a try. Ok. from a guy born in Cuba and raised by mom and grandma who were both outstanding cooks, I’ll start with why it is called “ropa vieja”. First. The flank is boiled with aromatics and the broth used for other things. Second, Since the meat is stringy and frayed (like old clothes) it has that moniker, if you will. To be authentic, there is no recipe that uses turmeric in ropa vieja so I would omit that. You need to add 1 – 2 bay leaves. As for the olives, rather than adding additional vinegar, try some capers (crushed or chopped). 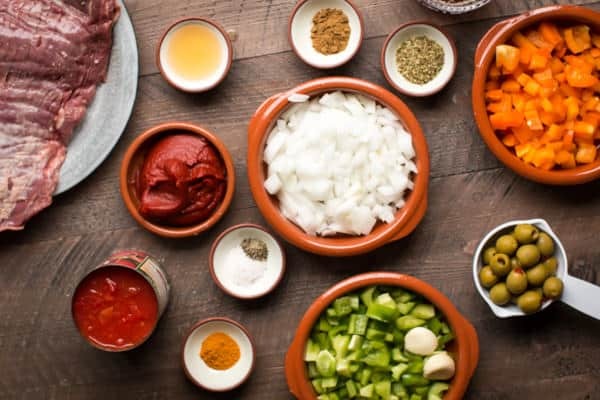 BTW – you didn’t do it in this recipe but if you ever see a post for “Cuban” and the ingredients include jalepeno, chiles or some form of hot sauce, it is not authentic Cuban food. We don’t use that. Thanks for all the tips, I will have to try. BTW – we normally cook the flank (sometimes brisket) the first go round with a pressure cooker. Makes the meat really tender. Carlos, how long in the pressure cooker? For 3lbs about 25 min. Let pressure subsidyon its own accord. Thank you Carlos! I will try it! I am 86 fyears old Cuban ,I alway cook ropa vieja, I agree with Carlos,but if I use brisquet is ok 25 min.in pressure cooker,but if I use flank steaks only 15. Minutes,otherwise the meat taste tough. Heat 2 tbsp. oil in a large saucepan and brown meat on all sides. Cover meat with beef stock and simmer 2 hours until tender. After the meat has been stewing, skim off any excess fat off the top. Remove beef to a platter and shred with a pair of forks to pull the strands of tender seasoned beef away. 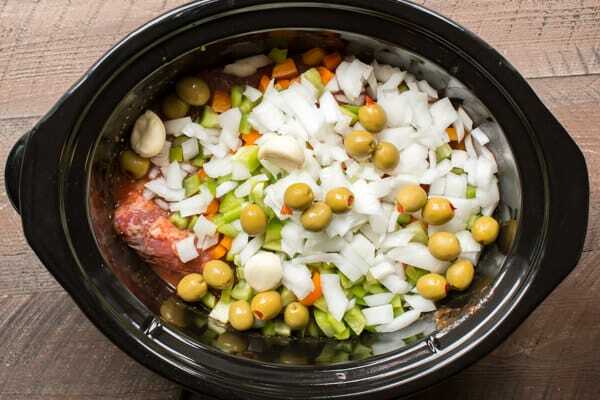 Once you’re all shredded up, return the meat to the pot and add the carrots, onion, celery, garlic, herbs and spices, and sofrito, add a little water if needed to marry the flavors, and cook together on low for another half-hour. I’ve got to try this. I dearly love Cuban food. I go to Miami on biz every 5 to 6 weeks and have to get my Cuban fix while there. This dish and Picadillo (sp?) are my faves. But when I make this at home, will have to leave out the olives too. I love them, wife hates them. I have a chuck roast in the freezer, can I sub that in for the flank steak? Should work fine, be sure to degrease the sauce for chuck can get greasy. I used a arm beef roast turned out great. Can I sub in a chuck roast for the flank steak without affecting the outcome? I think a chuck roast would work fine, may need to degrease the sauce at the end. Do you have nutrition facts for the finished meal? I do not, I apologize. Let’s just say that when you say Cuban food to me, even if it’s whispered, I gain 3 lbs. Getting ready to cook this…..Is it 9 hrs on High or low. On low, I added that info. This was delicious! Any idea how many calories per serving size??? I do not know, I apologize. It’s Cuban so it;s a ton. Hello. Thanks for this great recipe. I am giving it a try as we speak. Can you cook this recipe on high for less time? On high for 5-6 hours, keep the lid on the entire time. I cooked it on high for 6 hours and came out great. I made this, had to use 3 pieces of flank steak to make up 3lbs…came out super tough and stringy….maybe 9hrs 9n low is too long? Did you keep the lid on the entire time? It may of needed longer if you opened the lid. Flank steak will be stringy. Maybe cut up the pieces a bit after it’s done cooking. The strings can be long and hard to eat since flank steak is super long. This looks so yummy! Gal from Miami here, but moved to the west coast of FL and miss the Cuban food. In the video, it showed the first bite being an olive… that would be my first bite too! I Love olives! Could this be made in a pressure cooker? Such as an instant pot? I’m having a hard time finding flank steak what is your best substitute? Hi Kristi! Any beef roast would do fine, chuck roast you would have to degrease the sauce at the end. Bottom roast may be a good option too. Flank steak lately in my stores has been in plastic packs with black backing. Not packaged by the in house butcher. Kristy, I recommend a sirloin tip. I use it for my Italian beef and it’s also stringy, tender, shreds well and it’s amazing! My family small only 4 of us, my kids are 1 and 5. Can I make the portion size smaller of what the recipe calls for? Will it still taste good? I think so, if it was me I would cut a flank steak in half and freeze the other half. Follow the recipe as written, but less salt. You’ll have extra sauce but it will still be good! My husband and I just made this recipe. We may have cooked it for a little more than 9hours, while it was on warm–the flavor was delicious–but the beef–although easily shredded, was very tough and chewy. We saved it by cutting the strands down with a scissor. What do you think I did wrong—I am wondering how it would turn out with stew beef–cubed or ground? Cara Castiglio, if you use flank steak ,the meat will be tough if you cook it more than 15 min. 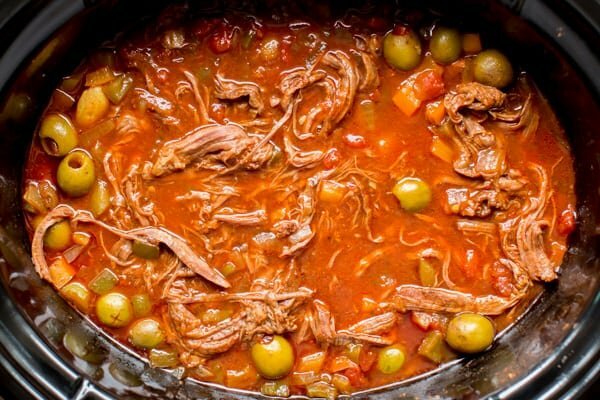 If you use Brisquet no more than 25 but the truth is that in Cuba we did not use the crock pot for ropa vieja ,we used pressure cooker. I made it without tomato paste can. i recook it with the paste to thicken it up? I don’t see why not, it may only need a half can at this point. My mother would cut the onions long ways so it would go with the strands of beef when you shred it which is bestly done by using your hands and a fork. Some add green peas, etc etc. olives are fine as well and are seen often, but the ones with peppermint in them, medium sized olives, and not too many. I forgot to put earlier do you think 6 hours on high would be ok? I think all your additions will be great next time. In fact I never make anything the same twice! I love this dish! It is absolutely delicious! Flank steak turned out very tender, shredding was no problem. The gravy was so good over Basmati rice. It’s a keeper. 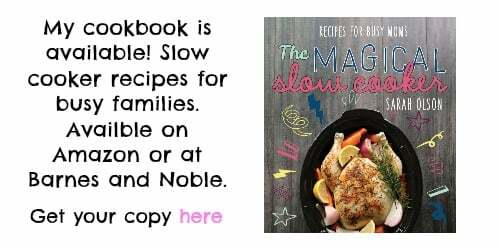 This recipe is delicious, the family loves it. I have a hard time finding flank steak, but it is worth the effort. I wonder what other veggies I could add to it though? Green beans, corn? 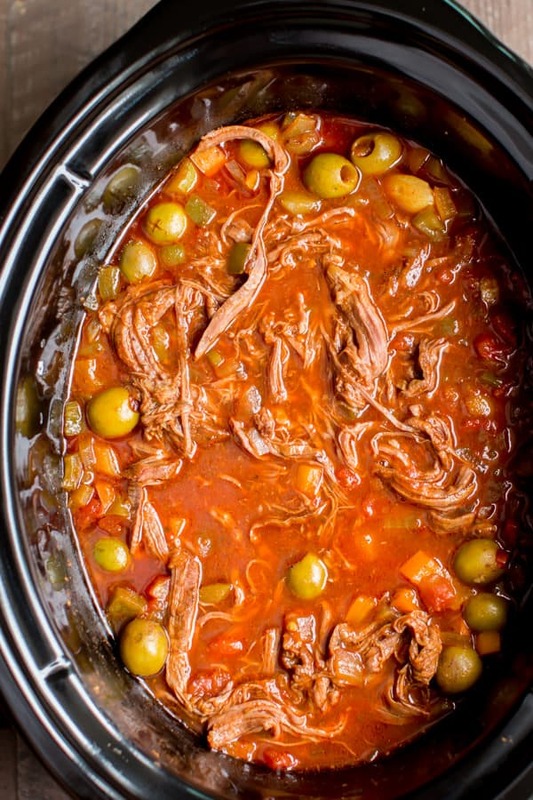 Ropa vieja is not cooked in slow cooker but in a pressure cooker. Should not take 9 hrs. Then let it cool off, shred, make the sofrito with chopped onion, bell peppers, garlic, oregano, cumin, salt and pepper to taste, and vino seco (Spanish cooking wine) and tomato sauce. Cook dorito until onion and peppers are soft.Place meat in same skillet and simmer in the sofrito until meat absorbs some of the juice. Serve with white rice, black beans if desired, and can’t leave out the ripened fried plantain.